In 2006 I was blessed with the opportunity to acquire this wonderful organization from a great man, Roger Vermazen. At Auburn VW we value our Team members 1st so that they can value our guests, and bless our community. Our Team is always looking for ways to innovate in order to achieve our core purpose of becoming the premier VW dealership in the Northwest and the Entire nation by blessing our Guests and Community. We have been recognized nationally from 2012-2014 in numerous articles by Automotive News and Auto Dealer monthly, as well as Cobalt and Volkswagen of America in regards to our engagement in digital and video marketing strategies. 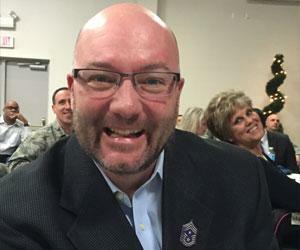 I love being a part of the community and am currently serving on the Board of Directors for Washington State Auto Dealers, Vadis, and Life Christian Academy. We are also involved with leaders of today and tomorrow through Washington Student Leadership and are ambassadors for the teachings of Jesus of Nazareth to love one another worldwide. My amazing bride Amy (our Director of Community Outreach) and I, along with our three beautiful children, live and serve in the Tacoma area and at Life Center. I drive a 2013 Passat TDI and it is most exciting to me when I set the cruise control at 60 mph and the fuel consumption rises to 60 mpg! I appreciate working for Auburn VW because it allows its employees to be individuals within the context of its goals for success and core purpose. I consider myself a servant of the people, so please let me know if you have any questions or concerns, I am here and happy to help! I grew up in Kent and have worked for VW for 25 years, including other VW Dealerships. The best part of working at Auburn VW is the people. We are like family. We work through our challenges and work out our differences. At the end of the day there is no other group of people that I would rather work with. The first car I ever bought with my own money was a VW; an old, loud diesel. As a VW enthusiast, I like the uniqueness and quirkiness of the early VWs and their all around fun-to-drive feeling. I now own a 1982 Rabbit Pickup, a 2000 Jetta and a 2008 Jetta. When it is time to relax, my wife and I enjoy being able to go fishing and camping in the Pacific Northwest. I believe Volkswagen today offers the best value package of Quality, Safety, Performance, and Style available in the market. I’ve always been impressed by the way a Volkswagen feels on the open road. I’ve owned 13 of them now, but driven all of them in every road and weather condition you can imagine, you could say I bleed VW blue. My wife and have 2 Amazing children and we feel safe in our VW’s with the family. Working for Auburn VW is a great experience because our core purpose is to exceed expectations. I like golfing, traveling, keeping up on the Sounders FC, and more importantly spending time with my lovely wife and our kids. Our Sales team at Auburn Volkswagen is trained to be the best you will meet in your shopping experience. We meet many people who have had a sour experience somewhere else, and we love turning that into a positive one. Thank you for shopping with us. We are very enthusiastic about VW, our community and our customers here. My wife and I are both VW drivers. We love the great mileage, fit and finish, safety and handling of our 2013 Passat and 2013 CC R-line. I grew up in Puyallup, with my parents owning a VW bus and VW Quantum. They now have a 2008 Passat and a 1985 Vanagon. I enjoy hiking, camping, skiing, golfing, relaxing or spending time with my wife and our adopted 3 year old Chiweenie dog and our large family (23 nieces and nephews). Austin Martin has been a VW driver and Enthusiast for over 22 years. His first car was a 1984 VW Rabbit GTi. Austin came to Auburn VW as a customer and now is an important team member. His successful career in the wholesale shoe industry gave him the experience needed to make happy customers and handle important customer concerns. You’ll be in good hands working with Austin Martin. Dwight Gibson, an 8 year veteran with Auburn Volkswagen, has done many different jobs in the dealership before joining the sales team. His experience as a technician and service advisor help him answer the technical questions many customers have. Dwight’s team mates will tell you that he is the first person to offer help any time it is needed. He has a heart of gold. Dwight and his fiancee live in Tacoma and enjoy traveling and winter sports. He also owns a neat racecar that he built from scratch by himself, and would love to tell you about. 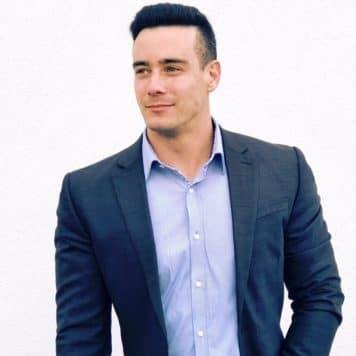 Brandon has a multitude of talents that include, musician, health and fitness training, restaurant, as well as working part time for the Tony Robbins organization as a life coach. 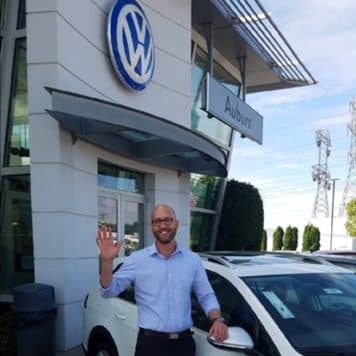 Brandon has been with Auburn VW for over 18 months and brings posistive energy everyday. I am a father of four children and a grandfather of one amazing granddaughter. I love Volkswagen and have owned 5 of them. What I love about VW is that their cars have a personality, unlike other cars I have driven. Their refined interiors, amazing handling, and engine performance makes them stand out from all other cars in their class, plus they are just so much fun to drive. I am proud to be a part of Auburn Volkswagen because we are changing the way cars are sold. Buying a new car is exciting and I want to make the experience fun and have all my customers leave completely satisfied. Jack Dorn is very personable. People love working with Jack to buy their car because he listens very well. Jack has 20 years experience with the VW brand, and he is able to help people with talent and care. 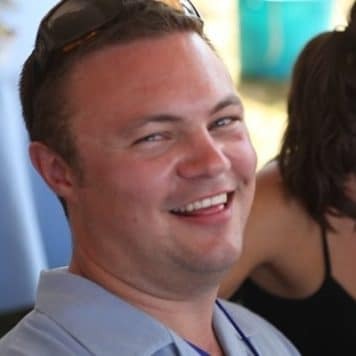 Jack and his wife have 2 beautiful children and enjoy camping trips and other kid’s activities. I moved to Washington State from Southern California and this is my 33rd year working at Auburn VW. I love that I go to work with friends I have known for years! I work in the Service Department as a Master Certified Warranty Administrator. My first car was a used 1964 Bug. That Beetle was so much fun to drive and new model Beetles are even more fun! I spend my off-work time in my garden, going for walks, reading, knitting or visiting with family. When I can, I love to travel. I like the quality of VW and the people here are amazing to work with. My family drove a 1964 1/2 Beetle and I own a 1987 Jetta. On my time off I like working on cars. On the weekend I host a Bible study. I love the Lord Jesus Christ and obey all his commandments! Loving the Lord and loving people is a passion that I can live out in my life, both here at work and at home. Thank you! My first job was at a VW dealership, which is when I fell in love with the VW Brand. Auburn VW is a great place to work, with great people to work with. I always try and give the best customer experience that I can, along with a smile! My 2014 Jetta is my 5th VW. I love the way they drive! My other passion is golf. I also play softball and I wrestled competitively in high school. I am not fluent in ASL (American Sign Language), but I sign well enough to have a conversation. I have been with Volkswagen for 13 years, I am Texas born, and was enlisted in the Navy for 4 years. My wife of 9 years and our two sons and I live on a farm. Great quality and gas mileage are why I love working with VWs. There is a comfortable work environment here and everyone works as a team. This is a very friendly place to work and the fresh, warm cookies are very tasty! I love to work hard and I am passionate about doing my best. My interests are traveling, photography, skateboarding and listening to Led Zeppelin. Team Member Since 2010 When I joined Auburn VW, I started as a member of the Parts Specialist Team. Before VW I worked for over 20 years in sales, management and customer service. I just purchased my 4th VW Jetta. My new 2014 Jetta TDI is fun to drive, plus it gets great mileage. The best part about working at Auburn VW is the people. I work with great customers who are VW enthusiasts and other Parts Specialist team members who are knowledgeable, professional and love VWs! VWs are a part of who I am. My entire family has been VW enthusiasts since the 1950s. We all drive VWs! I am so blessed to work for such a wonderful company that cares so much about our community and our team members. This is really like my second family. I love everyone here. When not at work I spend time with my first family; my wife, my son and our dogs Samson and Stella or working in the yard, on our home or on my 1992 Corrado V126. Team Member Since 2003 My dad got me into VWs (he has owned at least 20). My first car was a 1988 Scirocco and I’ve loved Volkswagens ever since. Right now I have a 1958 Beetle. The main reason I like my job is because of the awesome people here at Auburn VW. I like that we can get our jobs done efficiently and still have fun. I have a cat named Grissom and my wife and I like to try out new restaurants together. Auburn VW is a team of genuine people where I have had opportunity to improve and advance to better serve our VW customers. My car is a 2008 Red Wolfsburg Jetta. The looks, interior, quality of parts and dependability of the VW cars are all reasons why I am happy to be a small part of the legacy that VW has proven to be. I was born and went to school in this area. I am married (no children yet) with 2 dogs, 3 cats and 2 beta fish. My hobbies are kickboxing, weight training, reading and watching Star Trek. I have a Bachelor?s Degree in education. I am a licensed minister and pastor a college-aged group and teach Sunday school. I really like my job at Auburn Volkswagen. The people here are very pleasant to work with and I feel like I learn a lot, plus I enjoy the work I do! My favorite things to do outside of work are swimming, crafting, and walking my two dogs, Sudi and Jack. I’ve always loved VW bugs, probably because of Herbie the love bug. I have about a dozen Volkswagens including 2 stock bugs, 2 Herbie bugs, 3 rally bugs, 2 buses, and a drag car, all in slot cars or models that is! I like WWE wrestling and racing, both live and on TV. I have a slot car and model collection and race slot cars almost every week. I’ve even been on TV before for my racing! Customers should know that I do have a speech problem and it can be very hard for me to communicate at times. I love to open doors and give handshakes though! Volkswagens are a great quality car. They are fun to drive in and are wonderful for road trips. Auburn Volkswagen is awesome because my co-workers are friendly. I definitely enjoy working here! I love watching the Seahawks and going to Husky games. Go Hawks! Go Huskies! I love Volkswagen! My favorite car is the Jetta, especially the TDI option. When I?m not at work I like listening to Maroon 5 and Spirit 105.3, watching The Ellen Show, and calling my friends. I really like Frappuccino’s! My name is Austin and I go to Kent Meridian high school. I am the facility helper here at Auburn Volkswagen and I also volunteer at the Golden Steer. They have great food. I grew up local in the Kent area with my small dog Dakota. I like Auburn Volkswagen and the clean windows!